Craig LeHoullier knows his Tomatoes. 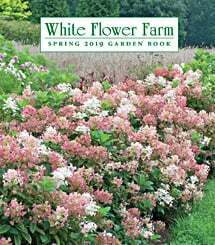 Expert advisor to the Seed Savers Exchange, he has lectured far and wide (including here at White Flower Farm) and is author of this indispensable book, winner of the gold medal at the 2016 Garden Writers Association conference. In a readable, highly engaging voice, LeHoullier profiles favorite Tomatoes, provides information on growing more than 200 varieties, and offers information on how to avoid a range of pests and diseases. The beautiful photographs will make you hungry to read more, and to grow your own delicious Tomatoes. A superb guide for anyone who loves growing Tomatoes. A great gift, too.